Can I Get a Mortgage in the Dominican Republic? For foreign buyers, getting financing in the Dominican Republic is not an easy task. Fortunately, we are here to help you as much as we possibly can! Many buyers choose to obtain a line of credit from their home bank which is the best option because this is generally where you will obtain the lowest interest rates. If financing from your home bank is not an option, there are two types of financing options available in the DR. Seller financing, where the seller/developer is willing to provide the buyer with a mortgage, or traditional bank financing. Some of our sellers are willing to offer owner financing to buyers. Usually they require at least a 50% down payment and require repayment within 3-5 years. You can see a full list of our properties below where the sellers are willing to offer some financing. Scotiabank is now offering mortgages for residents of the UK, Canada and the US who are buying a second home in the Dominican Republic. This is a new program but we have had several clients who have successfully purchased homes using this mortgage program. 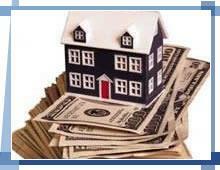 Maximum loan amount is 70% of appraised property value. Maximum finance term is 25 years. Interest Rate is 5.95%% annually. Property Appraisal from an authorized appraiser. Contact us today if you would like some further information! Search Our Dominican Republic real estate listings by clicking here! !